MH17 – Was The Pilot Shot? – footsteps……..
MH17 – Was The Pilot Shot? 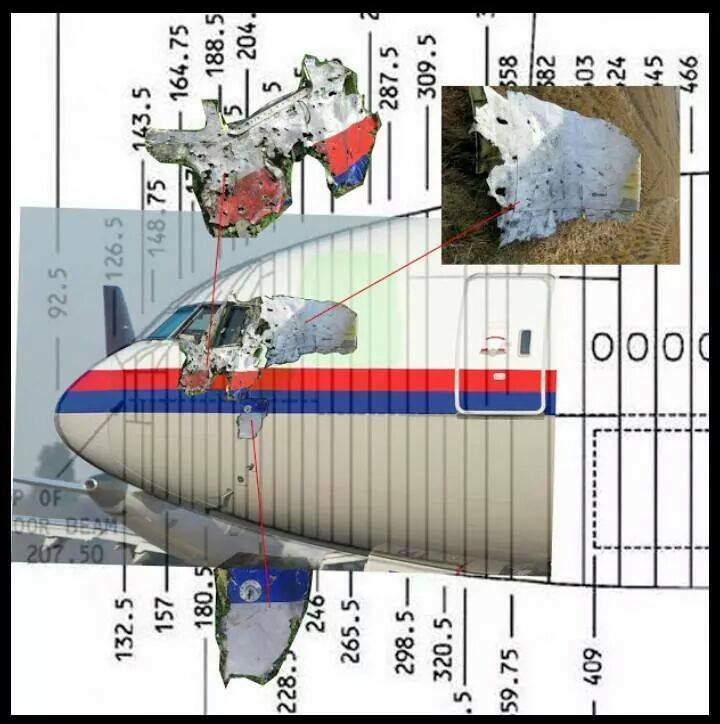 Early analysis by German experts show that MH17 pilot was shot not from BUK but shells from a fighter jet. The question raised now is whether it has any relation to the two Ukrainian jet that tailed MH17 as accused by Russia. It was USA who pointed fingers at Russia and with this new finding, the Ukrianian has to answer. The picture above was posted on Facebook to prove their findings. We’ll have to wait for the official analysis and report.